A shepherd hook may be used at a grave site in place of an urn stand. All shepherd hooks may be purchased by contacting the cemetery office and must be issued by the cemetery. Any other hooks or stands will be removed and disposed of. You are welcome to place your own live or silk flowers or to have the flowers placed by the cemetery. 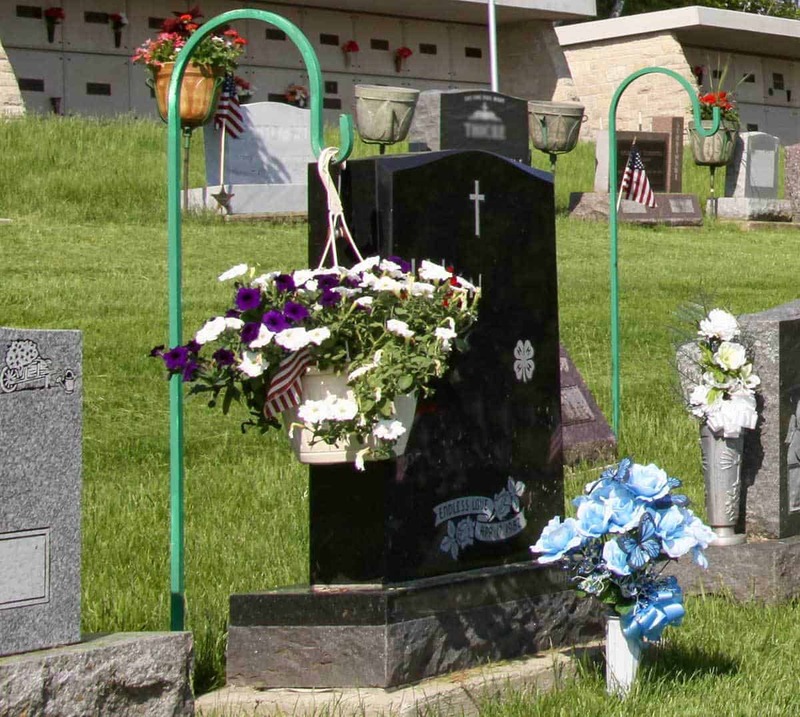 By choosing to participate in the cemetery flower program, a fresh hanging flower basket will be placed and removed for you, a truly effortless way to honor those you love. The shepherd hooks purchased through the office are installed in concrete to prevent tipping. This helps to safeguard your decorations while keeping the cemetery grounds free of debris.